CB singled out our Waiting is not an emergency ad for SA Health as "5 star" work. With 14.5 million views and counting I guess it's hard to ignore. They also pointed to Breastscreen SA's What you see, what we see, Balfours Stars of Summer and the Tassie TV version of Hands off our Ambos as examples of great creative. 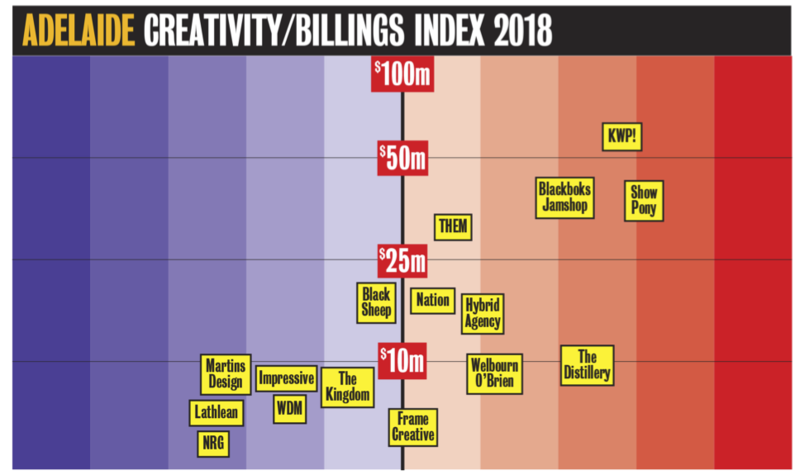 And congratulations to the Adelaide office who also got a nice, high-right position in their Hot + Cold agency index.